Over the next two summers, Fran and I are planning on completing the Down East Circle Route (DECR) in our 37' Nordic Tug, named TUG'N". We will be completing this trip with two other boats; Sir Tugley Blue, also a 37' Nordic Tug owned by friends Dave and Judy and Wings, a 35' Nordhavn owned by friends Bob and Jan. Wings and Sir Tugley are Lake Michigan boats. 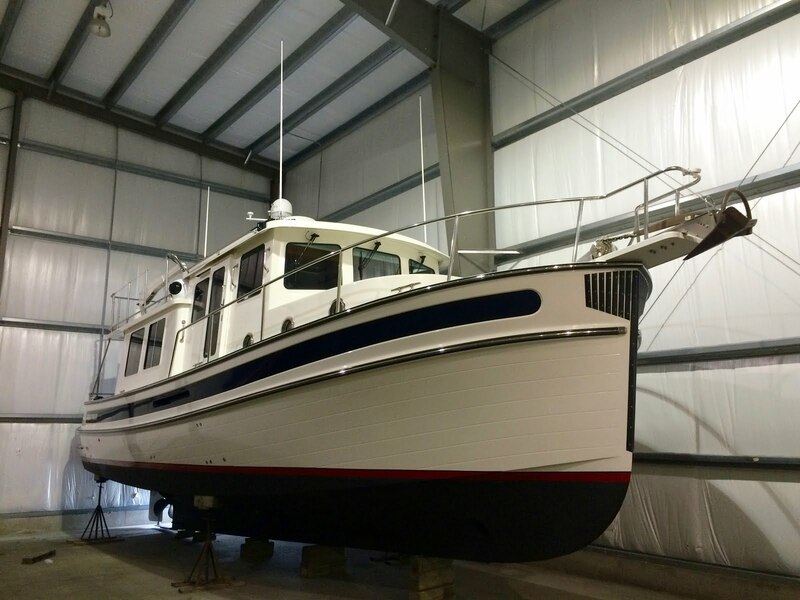 Another couple aboard Heart Tug, a 34' American Tug owned by friends Randy and Audrey will hopefully join us for part of the trip down the St Lawrence. We keepTug'n in Penetanguishene, Ontario. For the summer of 2016 we plan on going down the Trent Severn Waterway to the Bay of Quinte and Lake Ontario. Then we will follow the yellow route outlined in the attached photo. 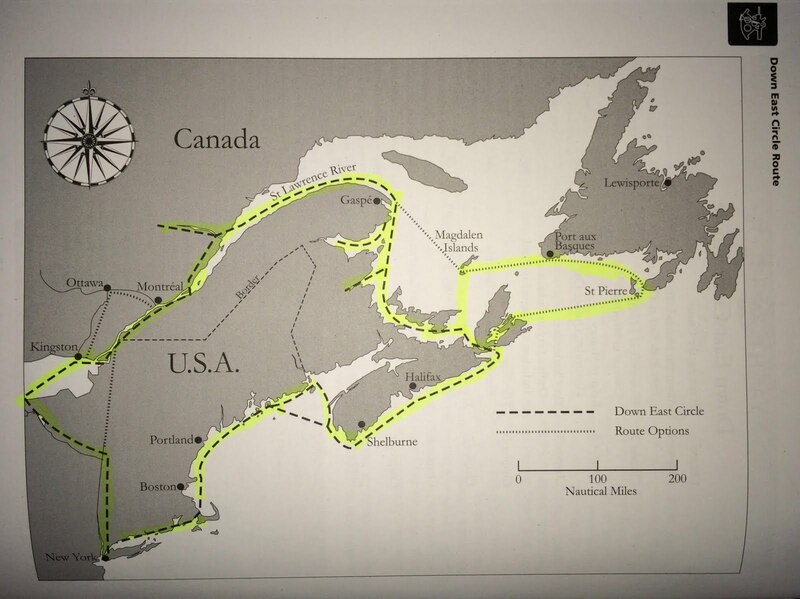 We'll focus on the Canadian Maritime provinces and Newfoundland for this summer, ending up in Northern Maine in mid September and leaving the boats there for the winter. In the spring of 2017 we will return to Maine and continue the adventure exploring the US northeast as as far as New York City. 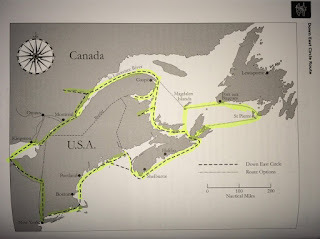 Then we'll head up the Hudson River and the Erie Canal to Lake Ontario and then back up the Trent Severn Waterway. This is the biggest boating adventure we've ever undertaken. To prepare, we've added an reverse osmosis water maker to Tug'n, additional electronics, a fresh water wash down pump and more. We've purchased charts for the areas we will cruise. We've read cruising blogs of other boaters. We've read the DECR cruising guide written be Cheryl Barr. We've had telephone crew meetings with Wings and Sir Tugley to discuss various aspects of the trip. Excitement has been building by the day as departure draws near. Fran has been busy planning, buying, packaging, freezing the food side of the trip and we've been loading Tug’n up with endless boxes and bags of stuff. Hopefully we will be able to find everything when we need it. We plan on keeping a regular blog of our trip so those who are interested can follow us along on our journey. Time will tell how successful we are at making regular blog posts. Severn, on or about May 27th. Of course all these plans and dates are dependent on weather. Weather, tides and currents will become part of our regular crew meetings as we put our heads together to discuss the variables and make rational decisions on each days cruising plans. Just writing this material gets us excited about the trip. We can't wait to get started. Tug'n all ready for launch.